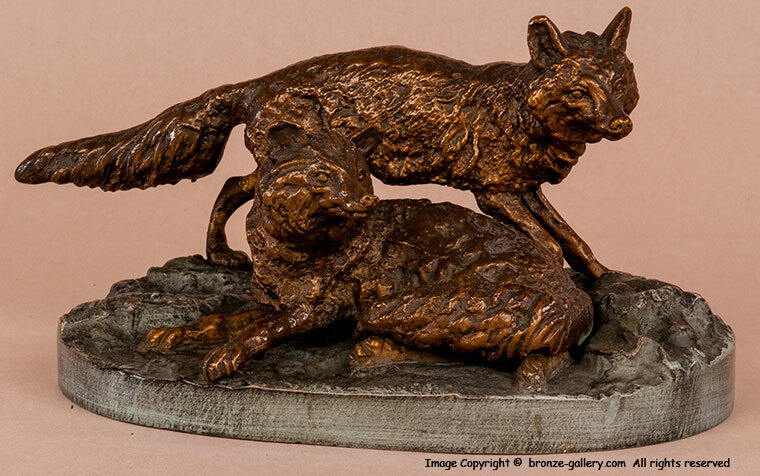 Mene was best known for his larger bronzes of horses and hunting scenes but he also did some fine small models of wild and domestic animals. His small sculpture of a dog Fox and his Vixen is one of his better subjects. A well balanced composition, the male Fox stands beside the reclining female Vixen. 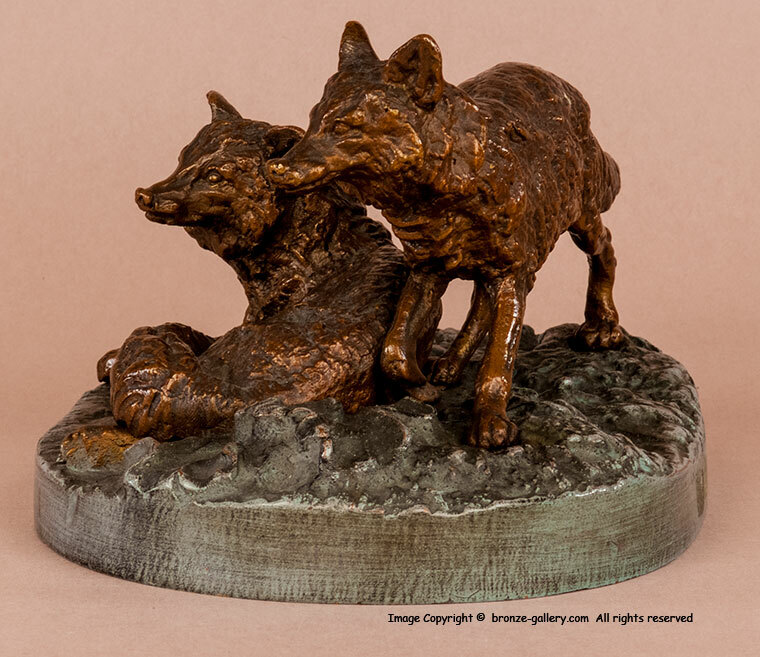 Both Foxes were done as single sculptures but they work better as a pair on one base. This bronze is a good 19th century cast with a painted finish which was often done on the Austrian bronzes but this is not an Austrian bronze. The Foxes are a red brown and the base is a greenish gray color. A well known model which is shown in almost every book on the Animalier bronzes.